With the importance of human genomic research, the rise in popularity of precision medicine, as well as the inclusion of a genetic component in many interdisciplinary studies, it is clear that genetics is incredibly valuable. But - are some genes more interesting and, therefore, studied more often than others? This data not only reveals the most studied genes, but also hints at trends in human genetic research – researcher interest, as well as top-down government and granting initiatives. 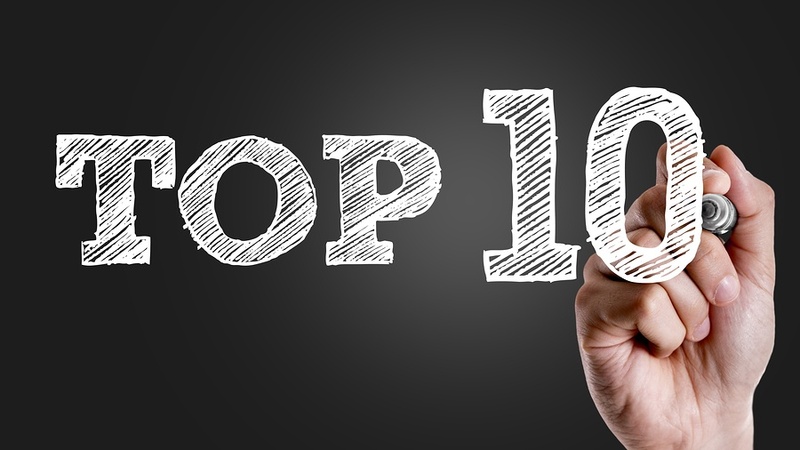 So what are the Top Ten researched human genes? TP53 – Encodes the tumour-suppressor protein p53, which is mutated in up to half of all human cancers. TNF - Encodes tumour necrosis factor, an immune molecule that has been a major drug target for inflammatory disease. EGFR - Encodes epidermal growth factor, a membrane-bound receptor protein that is often mutated in drug-resistant cancers. VEGFA - Encodes vascular endothelial growth factor A, a protein that promotes the growth of blood vessels. APOE - Encodes apolipoprotein E, which has important roles in cholesterol and lipoprotein metabolism. IL6 - Encodes interleukin 6, an immune molecule that can both stimulate and suppress inflammation. TGFB1 - Encodes transforming growth factor beta 1, an extracellular protein that controls cell proliferation and differentiation. MTHFR - Encodes methylene-tetrahydrofolate reductase, an enzyme that helps to process amino acids. ESR1 - Encodes oestrogen receptor 1, a nuclear receptor protein that has been a focus study in breast, ovarian and endometrial cancers. AKT1 - Encodes a signaling protein known as a serine/threonine-protein kinase, which phosphorylates other proteins to activate them. If you work in the field of genetics, there’s no doubt that many of these genes will look familiar to you. There are a disproportionate number of cancer genes on this list, which should come as no surprise as there has been a great deal of interest and funding towards cancer research. The most studied gene on this list – TP53 – is a tumour-suppressor, colloquially known as the ‘guardian of the genome’, and is mutated in nearly 50% of all human cancers. Although there are around 20,000 protein-coding genes in the human genome, surprisingly only 100 account for over one-fourth of all the publications tagged in NLM. These are genes that are involved with critical biological processes, that are associated with disease screening, predisposition, promotion or suppression, or that have a potential clinical, diagnostic or therapeutic use. I would posit that traditional candidate gene approaches have also led to specific genes being interrogated more often since researchers build on existing knowledge. It’s possible that relatively newer whole-genome sequencing methodologies may discover genetic correlations that were unfathomable by previous logic. This may open the door to studying a greater array and diversity of genes. Furthermore, many genetic polymorphisms may act in concert to produce a physiological response, which would have been difficult to show with older methodologies. As we narrow our research focus to understand more about a smaller area, perhaps a single gene, do we lose some perspective? Historically, many scientifically significant discoveries were not found in the logical course of study, but rather in a bit of serendipity. For example, the revolutionary antibiotic penicillin was discovered by happy accident by Dr. Alexander Fleming at Saint Mary’s Hospital in London in 1928 because he left his work bench in disarray before leaving for vacation and returned to find molded bread. What could we be missing by looking in all the same places? I’ll leave you with these two questions to ponder: What genes are going to be of great significance to research and to human health in the future? What are the up-and-coming genes with the potential to jump from bench to bedside and revolutionize healthcare? Only time will tell. What are your thoughts? Please leave a comment below with your predictions. * Dolgin E. The most popular genes in the human genome. Nature. 551(7681):427-431 (2017). doi: 10.1038/d41586-017-07291-9.